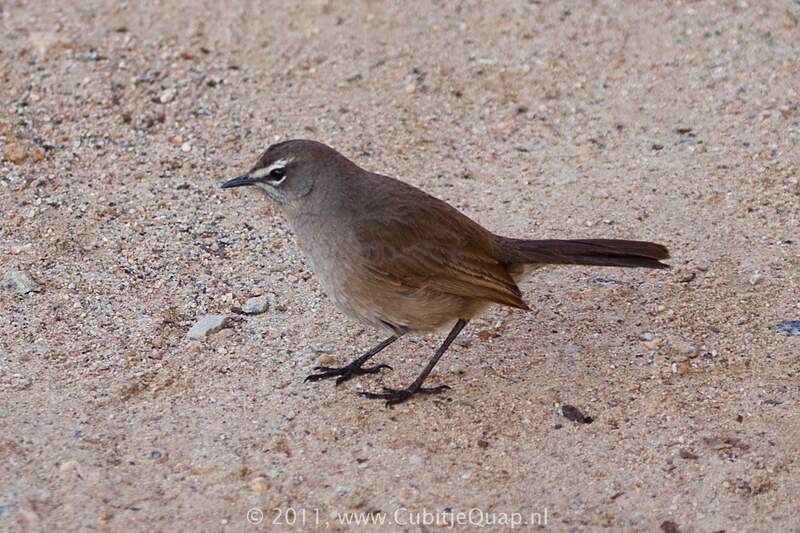 This species lacks the breast streaking of White-browed Scrub-Robin; it is much darker than Kalahari Scrub-Robin and lacks rufous in the tail. 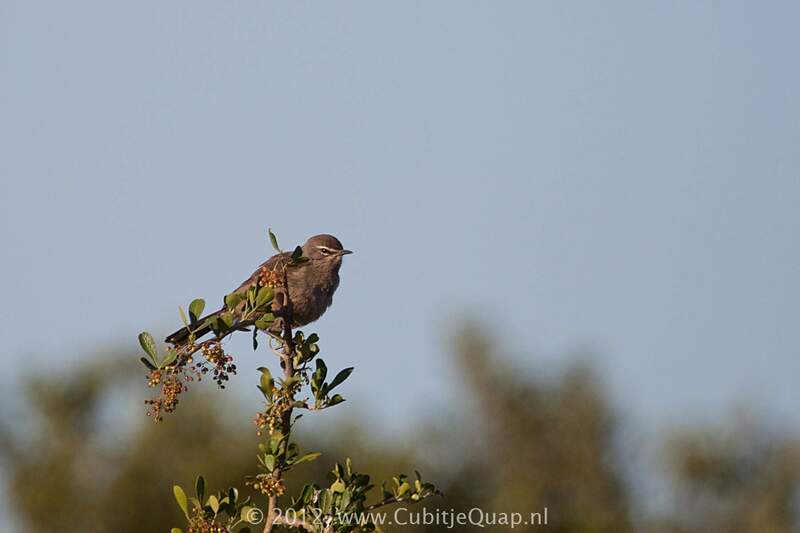 The distinctive features of this species are the dull, grey-brown plumage, the white throat patch, the small white eyebrow stripe, and the white tips to the dark tail feathers. 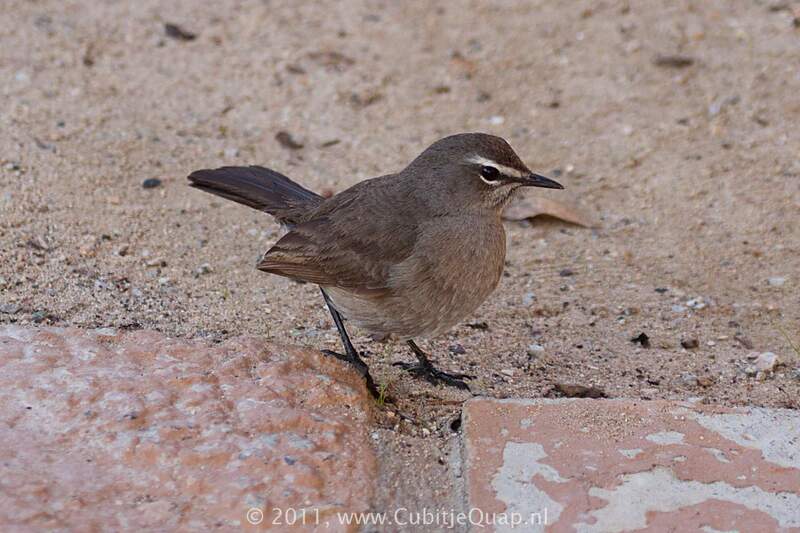 Juvenile is sooty brown, mottled with buff; the eyebrow is distinct. A harsh, chittering 'tchik, tchik,tcheet'; song a mixture of whistles and grating notes.